T-Mobile 4G LTE Internet Speed Test Vs Verizons' 4G LTE. Given the fact that I live just near by ocean where having towers is quite challenging, getting 4G speed on T-Mobile is just praiseworthy when they're not even blowing like Verizon has been doing it for a while now. I've seen ppl getting far far more like 50-60 megs downstream on T-mobile, those are the luckiest fellas.. but still no complain. I tested 4G LTE speed on Verizon Samsung Galaxy Note II vs T-Mobile Samsung Light during the peak hours. 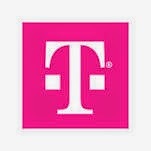 T-Mobile is the obvious winner.